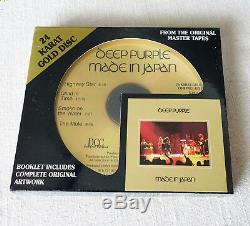 CD, Album, Reissue, 24 K Gold CD. Child In Time 12:19. 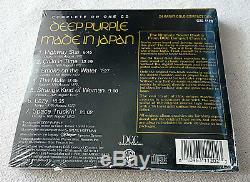 Smoke On The Water 7:27. Strange Kind Of Woman 9:10. 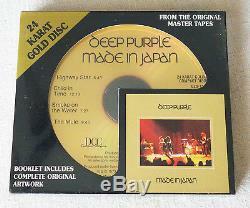 Mastered for this compact disc by Steve Hoffman. 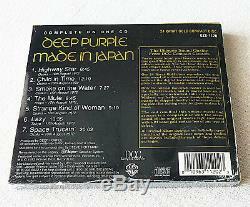 Manufactured and marketed by DCC Compact Classics, Inc.
Booklet includes complete original artwork. Brand New and Factory Sealed. Unopened, Unplayed, Archive Top Copy. 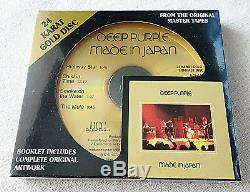 The item "Deep Purple Made In Japan 24 K Gold CD DCC Compact Classics USA 1998 Sealed" is in sale since Thursday, January 31, 2019. 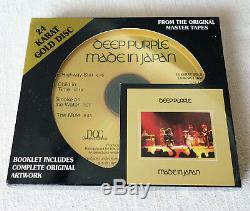 This item is in the category "Musik\CDs". The seller is "v_arts_usa" and is located in Samara. This item can be shipped worldwide.